As highlighted by the tabs, there are three methods of adding contacts to your list; let’s see them one by one. 1. First of all, you can upload them from a file or from an external URL. 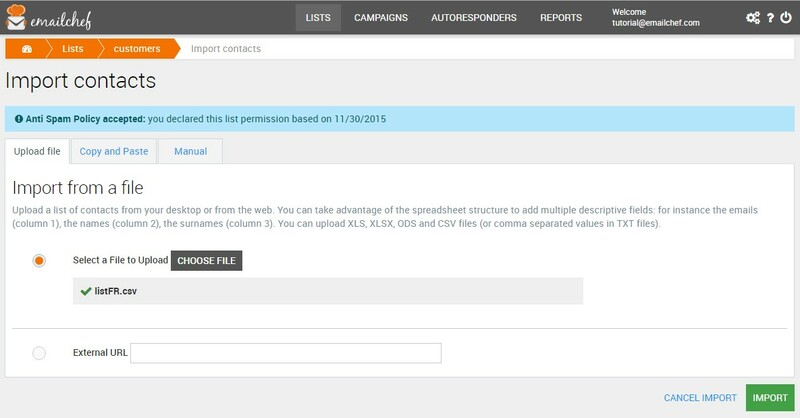 You can upload XLS, XLSX, ODS and CSV files (or comma separated values in TXT files). Please note that you can take advantage of the spreadsheet structure to add multiple descriptive fields: for instance the emails (column 1), the names (column 2), the surnames (column 3). 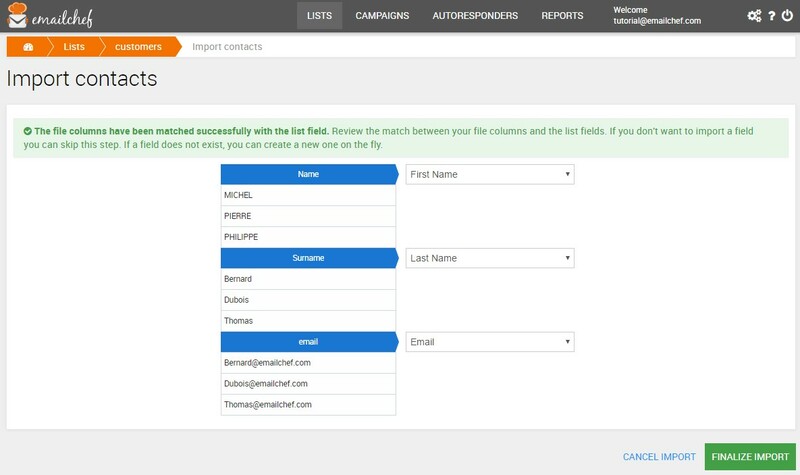 Here you can review the match between your file columns and the list fields. In the example above, we have uploaded a list of just three contacts where the first field is the address, the second the name and the third the surname. 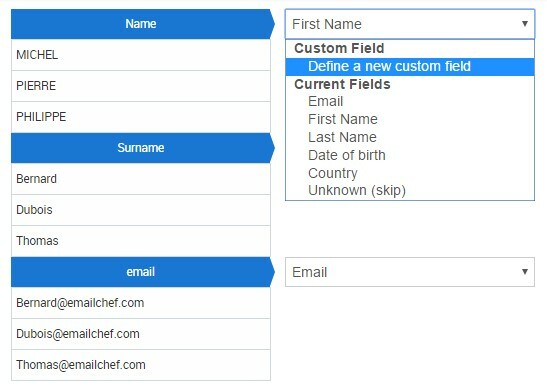 Please note that eMailChef will automatically ignore any duplicate address and not import it. 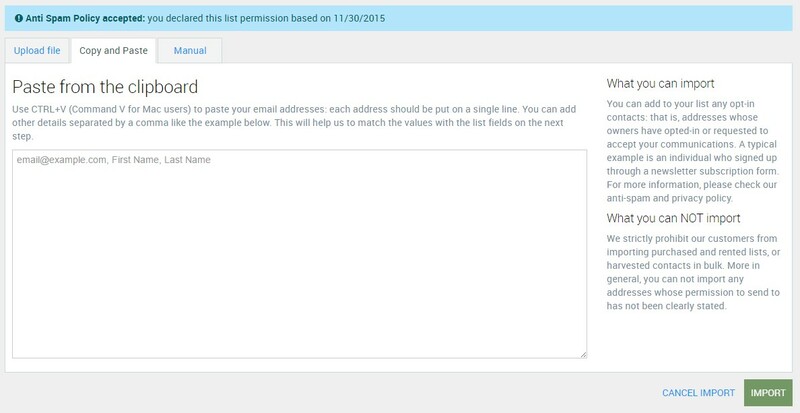 In the example above, we have defined the fields “Name” and “Surname”. The relative placeholders are automatically generated. 2. You can also copy and paste the contacts from the clipboard. Each address should be put on a single line. You can also add other details separated by a comma like the example provided in the box; this will help us to match the values with the list fields on the next step.